It is widely known that Brazil is one of the most difficult countries in the world when it comes to moving goods and services into its borders. If you have ever tried to export to Brazil, then you are very familiar with the endless amount of paperwork and red tape that is required for your company’s imports. Brazil not only has some of the highest duty rates in the world, but also has some of the most stringent documentation requirements – for example commercial invoices must be signed in blue ink. In addition, Brazil is heavily dependent on roads, since they lack railways, causing endless bottlenecks when it comes to transporting goods. In the Heritage Economic Freedom Index, Brazil is ranked as 153 among 180 countries. In the ICC index, Brazil is ranked as 69 among 75 of the economies in the world. In my opinion, the Brazilian trade isolation began in the 1990’s and for almost 30 years, Brazil’s foreign policy has been based on an ideological bias that importation is harmful to the economy. These beliefs have prevented Brazil from participating and negotiating in some of the largest trade deals to date. This ideology, has placed Brazil severely behind some if its neighboring countries when it comes to international integration. Brazilian exports under trade agreements only reach about 8% of the world’s consumers, as compared to 57% for Mexico, 74% for Peru and 83% for Chile. Given this background, it will be interesting to see what Brazils new President Elect, Jair Bolsonaro will bring to Brazil’s international trade policies. In the new president’s manifesto, we can already see that he is determined to break away from these old protectionist beliefs and push Brazil towards becoming one of the largest supply value chains in the world. According to Bolsonaro’s manifesto he plans to create a new era for Brazil, where trade agreements with important global players will become an actual reality. Bolsonaro believes that facilitating trade with Brazil will be one of the most effective ways to promote the country’s long-term economic growth. The evidence on this new concept is robust when considering that other countries have more money. The United States is an excellent example, according to the World Bank with an average import duty rate in the U.S. at 1.67%; one of the lowest in the world, while, their GDP per capita is US $59,531.66. In comparison, Brazil, has one of the highest import duty rates in the world. 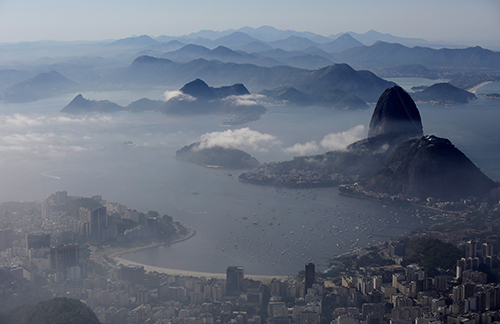 Brazil’s average is 8.01% with a GDP per capita of US $9,821.41. An additional result of Brazil’s lack of open trade policies has been evident in their ability to compete in high technology segments. According to the world bank, the share of high tech products exported by Brazil in 2016 – last statistics available – represented 30,43% of the total Brazilian exports. When compared with some of the most open countries in the world: Canada (69,57%), United Araba Emirates (83,09%), Estonia (84,36%), United Kingdom (87,77%), Ireland (90,82%), Singapore (96,08%) and Switzerland (96,77%), we can easily conclude that there is a close relationship between economic freedom and development. From a theoretical point of view, we could argue that open trade would act as a positive technological shock to a country, increasing their productivity and increasing their long-term economic growth. Based on this premise, Bolsonaro has proposed to not only reduce many import tariffs and non-tariff barriers, but also, to promote the establishment of new international bilateral agreements. For Bolsonaro and his new team, the main roadblock to achieving this new vision for Brazil’s economy lies within the current structure of the Ministry of Foreign Relations, who does not fully agree with this new philosophy and values. While the people of Brazil believe that free trade is beneficial, convincing the Ministry of Foreign Relations will be much more difficult. What Bolsonaro brings to Brazil is his belief that the country must stop idolizing dictatorships and start shifting Brazil’s relationships with important democracies like the United States, Israel and Italy. In Latin America, Bolsonaro’ s promise is to deepen Brazil’s integration with its democratic neighbors to redirect Brazil’s old philosophies around trade to build much stronger partnerships. Countries, who in the past have sought closer relations with Brazil, but have been turned away due to political reasons and the cost of doing business in Brazil, due to the high duty rates and import fees, have much to offer in terms of trade, science, technology, innovation, education and culture. Bolsonaro’s election manifesto has recognized this and is determined to change Brazil’s direction to more open bilateral relations and agreements. We must keep in mind that a country like Brazil, which is placed among the ten biggest economies in the world, cannot continue to be ranked among countries like Afghanistan and Uzbekistan in the global ranking of economic freedom. With Bolsonaro’s new presidency, it is hopeful that Brazil will no longer be isolated from the rest of the economic world. Brazil hopes that this new president will bring substantial measures that will not only promote economic growth for its domestic market, but also to the international trade.